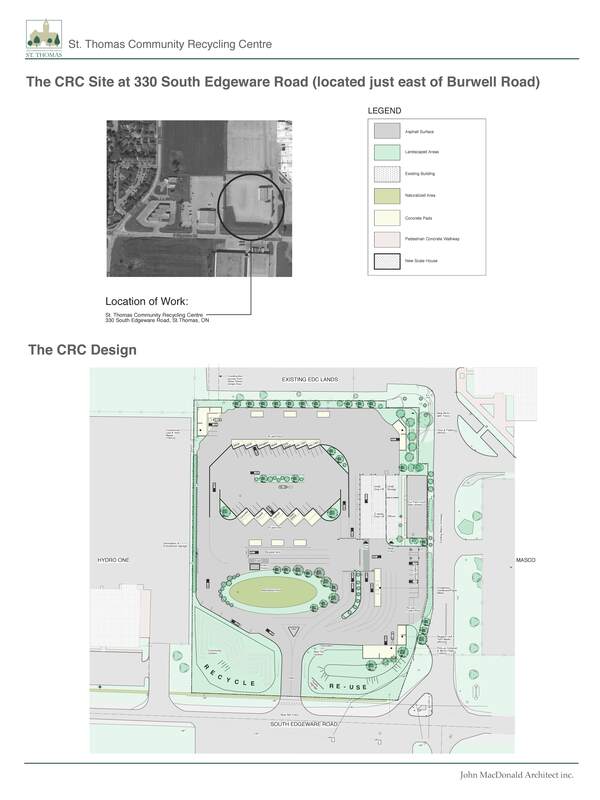 a presentation of the project’s development and proposed design to date. The first section of the PIC was an ‘open house’ for the public to browse the presentation boards and converse with the design team one-on-one. The second section was the presentation, projected large on the wall and presented by the design team (John MacDonald, David Smith and Ashley Jardin). The third and last section was a question and answer period where the public had free range to lead the discussion. 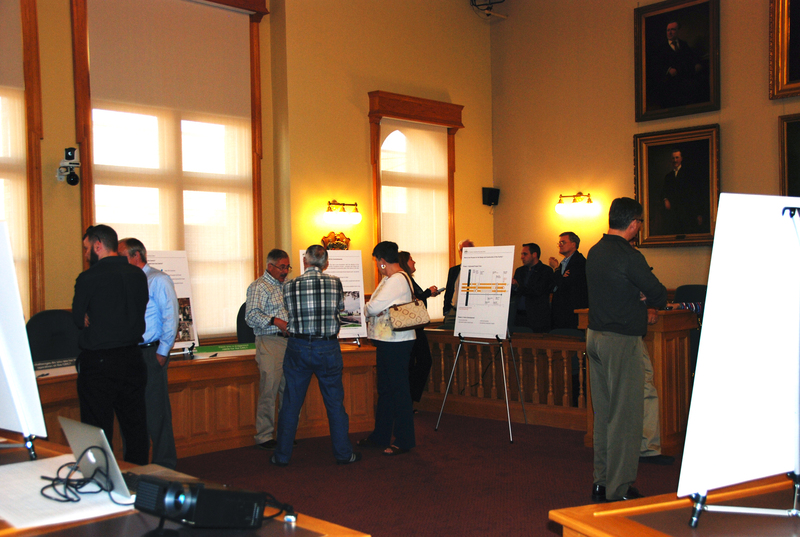 The project was well received and the public turn-out and participation was excellent. 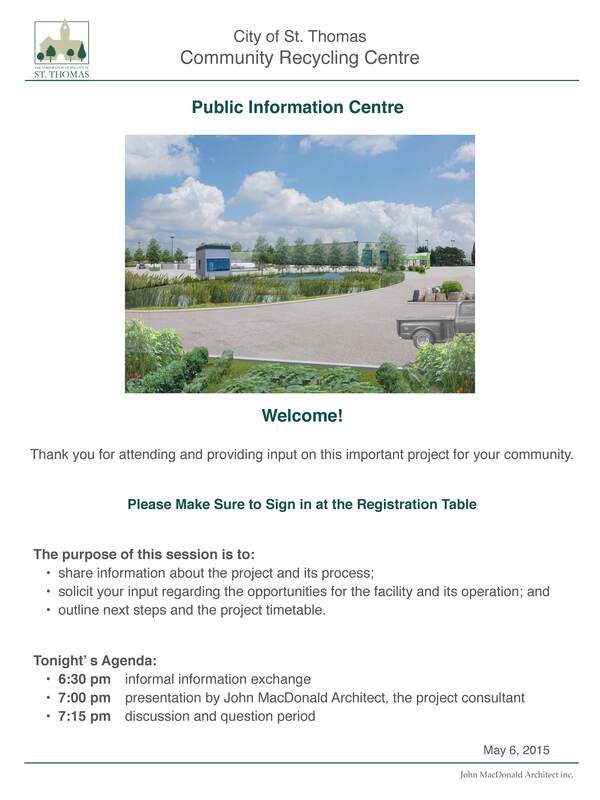 This entry was posted in Community, Design, Policy and tagged City of St. Thomas, community, Community Recycling Centre, Public Information, Recycling on 2015/05/15 by adminjma.